Disneyland has been a travel destination ever since it first opened its doors on July 17th, 1955. Since then, the House of Mouse has gone worldwide, and the original Anaheim location has added additional magic. California Adventure, the neighboring park segment, first opened on February 8th, 2001, and despite some hiccups, has become a pretty great experience (I could pun and say ex-PIER-ence) for adults and children alike. And no, not JUST because of the bars — although they’re pretty fab, not gonna lie. 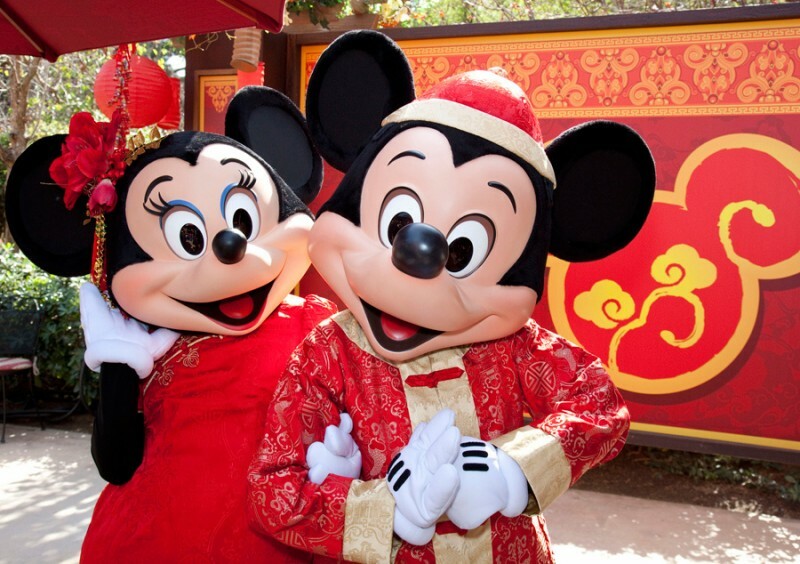 Check out Lunar New Year in Disney resorts around the world! In February, the Parks celebrate Lunar New Year to coincide with the Chinese calendar. There are all kinds of goodies available at the individual stands within California Adventure, and I’mma eat my way through them later today, so make sure you check back for that. The Lunar New Year events in the park run until February 18th. There is also the unofficial Villains Day, an organization not unlike Dapper Day, Throwback Night, Bats Day, or Tiki Day. These are gatherings where Disney lovers interested in the various themes Disney Bound (fashion with a Disney twist, but NOT costumes) and meet up for group photos. My group is technically here for Villains Day, but there is a more personal reason I’m visiting the park this weekend. I’ll get in to that in another park diary post. What is your ideal time during the year to visit the park, and what is your cannot-miss snack? Laura Dern Visits Star Wars Launch Bay at Disneyland! An 'Incredible Summer' is Headed to Walt Disney World!